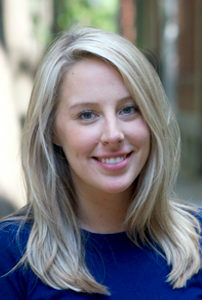 Sarah Brayne is an Assistant Professor of Sociology at The University of Texas at Austin. In her research, Brayne uses qualitative and quantitative methods to examine the use of “big data” within the criminal justice system. In her most recent work, she analyzed the use of predictive analytics and new surveillance technologies in a large urban police department. In previous research, she studied the relationship between individuals’ contact with the criminal justice system and their involvement in medical, financial, labour market and educational institutions. Brayne’s research has appeared in the American Sociological Review and has been supported by the Social Sciences and Humanities Research Council and the Horowitz Foundation for Social Policy. Prior to joining the faculty at UT-Austin, Brayne was a Postdoctoral Researcher at Microsoft Research. She received her Ph.D. in Sociology and Social Policy from Princeton University.